Maui Condos for Rent: How NOT to Get Scammed When Renting Condos in Maui! Maui Condos for Rent: Top Tips to Avoid a Scam! If you're looking for Maui condos for rent, don't book anything until you've read my top tips on how to avoid getting scammed! We've all heard horror stories about people who have paid for a vacation condo rental in Maui, Hawaii (or elsewhere) and later realized they've been scammed in some way. Luckily, most travelers who rent condos in Maui end up more than satisfied. Here are some easy tips to maximize your chances of being one of the many satisfied renters of Maui condos! Tip #1: The More Reviews the Better! When shopping around for Maui condos for rent, look for condo listings that have a lot of reviews. The more reviews, the better. For all we know, the guy with only 5 reviews might have gotten his mother, father, sister, best friend and favourite cousin to write some glowing reviews of his less-than-stellar vacation condo rental in Maui, Hawaii. But the gal with 30 reviews is more likely to have reviews from real travelers like ourselves - reviews that we can trust. Tip #2: A Picture is Worth a Thousand Words! When browsing through the rental listings for condos in Maui, Hawaii I only look at the ones with pictures - the more the better! I want to have a clear idea of exactly what I'm getting. Plus, in the unlikely event of a dispute, your having pictures of what was promised to you could come in handy. Tip #3: When Renting Condos in Maui, Get it in Writing! When booking Maui condos for rent, get everything in writing. Since most of us end up booking via the internet, this is easy to do. Be sure to save all of your e-mail correspondence with the owner of the vacation condo rental in Maui, Hawaii. This way, you'll have proof of what was agreed to. If you end up speaking with the condo owner over the telephone to finalize things, be sure to send them a quick e-mail afterwards outlining the important points that were discussed and asking them to confirm via e-mail also. Tip #4: Verify Ownership of the Condo Before You Send Any Money! The owner of your vacation condo rental in Maui, Hawaii should give you their mailing address so you can send them a deposit - before you send any money for renting condos in Maui, double check that this really is the condo owner's address. Click on "search by owner name"
Click "search by owner name"
On this screen, you'll see the mailing address of the owner (This should be the address that you'll be sending your cheque to... if not, you'll need to investigate further). Also, under legal information, you can verify that this is indeed the unit number that you've been promised. If the owner has several Maui condos for rent, you'll have to search through them until you find the right unit... but it's well worth the effort for the peace of mind you get when you KNOW you're dealing with the legitimate owner of the condo. Tip #5: Get The Right Insurance! When you're renting condos in Maui, Hawaii, what happens if the property you rent has been foreclosed or the owner goes bankrupt? What if the owner accidentally double books the property? What if your security deposit is wrongfully withheld? What if this vacation condo rental in Maui, Hawaii was misrepresented? When researching Maui condos for rent, you'll see that there are some for-rent-by-owner companies that offer insurance to protect you against these things. When we booked our condo, we were pleased to see that this insurance wasn't all that expensive either! It's a small price to pay for peace of mind! (Link will open in new window.) you can purchase such insurance through them. 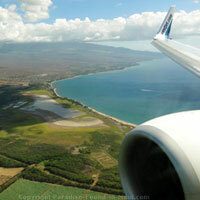 Search for Maui vacation rentals! HomeAway.com Helps Protect Against Scams - I LOVE It! HomeAway.com has an incredible amount of condos for rent directly from the owner! We bought their "Carefree Rental Guarantee" for the condo WE rented and were thrilled with the amount of coverage that we got for such a small cost! Also, HomeAway.com listings typically have lots of pictures, which makes it easy to see exactly what you'll be getting. There are also reviews (often quite detailed) that help to confirm whether or not the condo is worth your consideration. 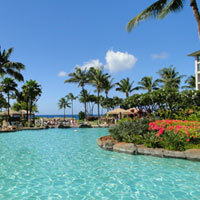 1) Condo Rentals in Maui: Easy Tips for a Great Deal! 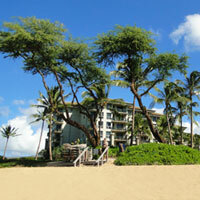 Go to Homepage from Maui Condos for Rent: Top Tips to Avoid a Scam!